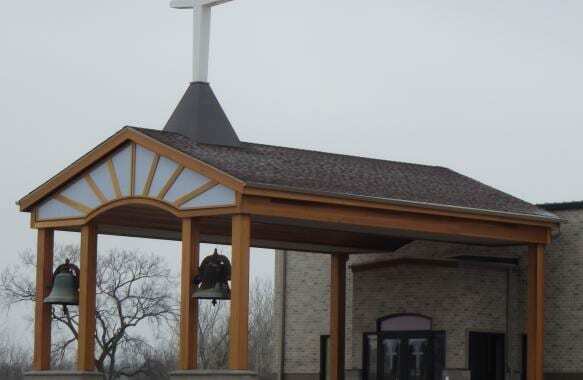 We are proud to have been chosen by the New Horizon United Church of Christ in Kewaskum, Wisconsin to help design, build and install an illuminated cross atop its building as well as lighting enhancements to the entry to the church. Church administrators were expanding the parking lot and looking for ways to enhance the entrance to the building with a new car port in order to better serve members and visitors. These modifications would make it easier for people with disabilities to enter the place of worship, especially during bad weather. 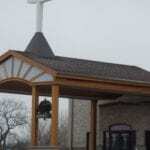 And along with the expansion of the facilities, it made sense to upgrade the lighting and consider new architectural enhancements as well, starting with the cross. 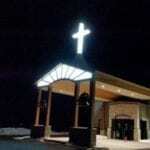 The Sign Effectz team helped design and build a cross for the church using numerous LED lights, which have great visibility and incredible energy efficiency. The 10’ high cross consists of illuminated acrylic so regardless of the viewing angle, it can be easily seen at night. The team also designed, built and installed similar lighting technology and materials on the canopy above the new car port. Designed to replicate rays of light emanating from a rising sun, this lighting is a beautiful enhancement. Together, all of this new lighting gives New Horizon church great visibility on a very high traffic road. 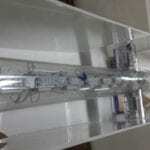 The cross is composed of polycarbonate support tubes on the inside. 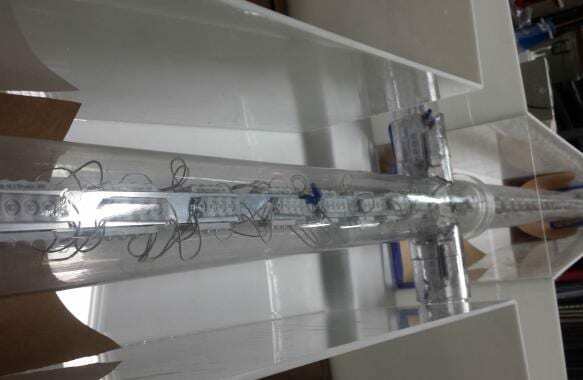 Acrylic pieces form the cross and are chemically welded to bind the pieces together. No metal hardware was used. We built the base structure and anchored it to the gable of the roof. The power supplies are enclosed inside, making regular maintenance easier. All of the circuitry is easy to access too. For the face structure (end cap) of the car port, we built the cabinet with back lighting and finished the space with the same finish to match the rest of the existing structure. We custom made the depth of the cabinet to match the depth available for the end cap.